Carol Stewart is a longtime resident of Boca Grande. This has enabled her to experience first-hand the dynamics of the community, its rich history and the changes that have occurred in the coastal region. She offers an exceptional level of market knowledge as part of her accomplished background in Gasparilla Island real estate. Carol's sales in 2018 were just shy of 40 million, earning her place as t... more.he #1 Realtor in sales for Michael Saunders & Company; a place she has held since 2016. She has been recognized annually as an “Exceptional Realtor" by the Women’s Council of Realtors since 2009. She has earned the Certified International Property Specialists Designation, Certified Real Estate Brokerage Management Designation, Resort and Second Home Market Certification (RSPS) and her Transnational Referral Certification (TRC). Most recently, she earned her Christie’s International Real Estate Luxury Specialist designation. Carol’s favorite pastime is fishing the local waters of Boca Grande with her husband, Captain Doug Stewart (a well-known fishing guide), and their sons Tanner and Flynn. My husband and I bought our first house with Carol Stewart. The sale went so well we went back to her again to purchase a second property. Carol knows all the contractors and vendors in the area. This was a big plus for us since we were from out of state. We found her outgoing, full of energy and extremely honest. It is our pleasure to recommend Carol to anyone who needs help buying or selling their home. - Andrea & Chris N.
Carol managed the process flawlessly from beginning to end. Could not have been more hassle free. We feel we got the best price and the best deal. She handled all the details, especially during the inspection/repair phase. She didn't bug us about lowering the price in spite of lower priced similar properties on the market...she recognized that ours was justifiably more valuable. A super-professional job. Thanks, Carol! 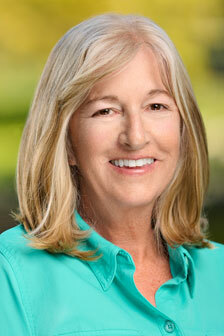 Realtor Carol Stewart with Michael Saunders & Company (Boca Grande) is a gem to work with! We are grateful for her knowledge of the Island and the surrounding area.